Richard Tindal is a domain industry expert. He is the Co-Founder and Chief Operating Officer of Donuts, Inc., a start-up new gTLD registry operator. Richard has formerly served as Senior Vice-President of Registry Operations at Demand Media, Vice-President of Registry Operations at Neustar, Director of International Sales at Network Solutions, and General Manager of U.S. Operations for Melbourne IT. He began his career in the technology industry working for Texas Instruments in the United States. During his term at Neustar, Richard successfully secured two contracts for the company to manage and operate the .us TLD from the United States Government and led the application and launching of the .biz TLD. Richard is an active ICANN participant. He was a member of the Generic Names Supporting Organization's (GNSO) Joint SO/AC WG on New gTLD Applicant Support (JAS-WG) in 2010. He is also a blog contributor for CircleID, an online publication on internet infrastructure. His blogs related to the domain name industry is available here. 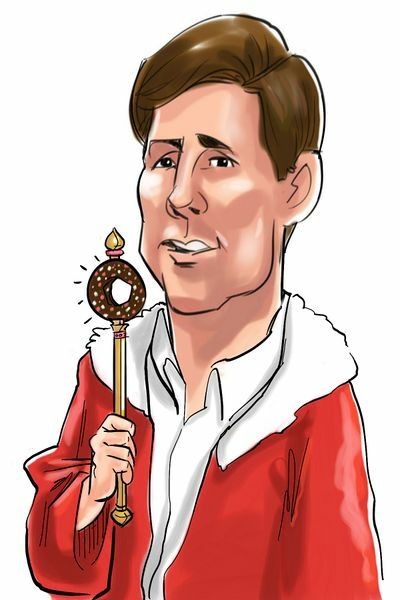 Richard was featured as the King of Diamonds in the ICANN 50 - London Playing Card Deck, along with the 3 other founders of Donuts; Paul Stahura, Jon Nevett, and Dan Schindler, who were Kings in the deck as well. Richard received his Bachelors Degree in Business from the University of Southern Queensland. He graduated with honors. This page was last edited on 11 November 2015, at 22:16.